The annual Uni Watch column debuts on SI.com, running through every design tweak for all 30 MLB teams in 2019. This patch is clearly more understated than the 125th-anniversary patch from 1994 and the centennial patch from 1969. On the one hand, it's a bit disappointing that they didn't come up with a more inspired design. On the other hand, maybe we should be grateful they didn't come up with something more garish. Either way, the anniversary patch is just the tip of this year's MLB uni iceberg. With Opening Day arriving March 28 (the earliest date ever), here's our annual team-by-team rundown of what you can expect to see on the field this season. You can read a bit more about all of these changes here. This year marks the 50th anniversary of the Mets' 1969 championship. The team is planning various celebrations to mark the occasion, so you'd think they'd also wear a commemorative anniversary patch, right? Wrong. Another tone-deaf move by a franchise that seems to specialize in them. 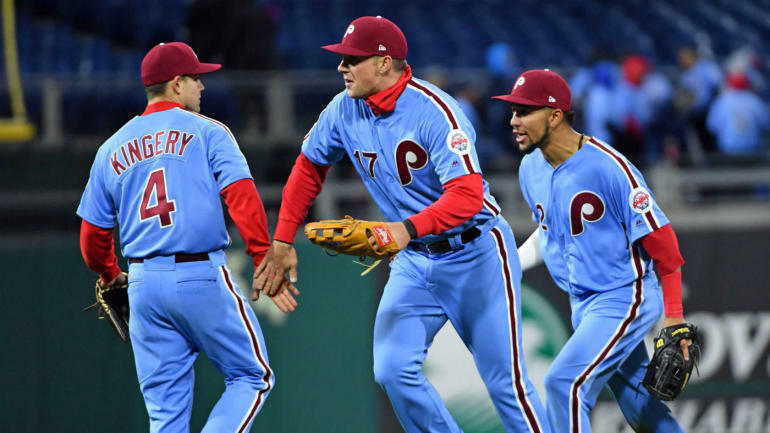 If those moves seem inconspicuous, this next one won't: The Phils' infamous solid-maroon "Saturday Night Special" uniform, which generated so much negative backlash when it was worn in 1979 that it was retired after only one game, is being revived as a throwback on July 27 (which, appropriately, is a Saturday night game). Speaking of throwbacks: The team's old powder blue design, which was worn as a throwback for a handful of games last season, is being upgraded to full-fledged alternate status this year. And finally, a uni-numerical note worth mentioning: Phillies manager Gabe Kapler, who wore No. 22 last season, is switching to No. 19 so Andrew McCutchen can wear 22. Your friendly uniform columnist usually doesn't concern himself with batting practice gear, but the Nationals have a new BP cap featuring a logo that's so good, and so much better than their usual script W, they should really adopt it as their primary mark. The change in the webbing color may seem like an absurdly picky detail, but it's actually something that Brewers fans have been tracking for years. Full details here. Meanwhile: This will be the final season for Miller Park. No, the stadium isn't going anywhere, but it will have a new name in 2020. In addition, the Reds are marking their 150th year by trotting out a whopping 15 throwback designs from various points in their history, dating back as far as 1902. 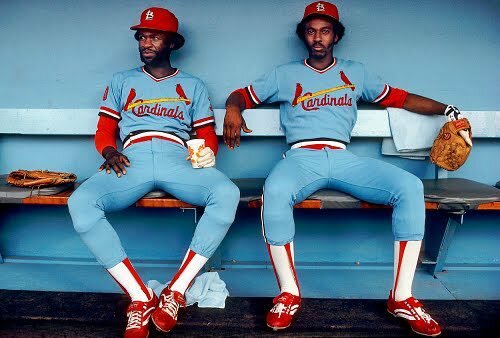 One of these designs features a jersey with collar points and a chest pocket; another features red pants; another is solid-blue! And of course there'll be vintage cap designs, vest jerseys, and striped stirrups all of which should make for a very uni-notable year in Cincinnati (additional info here). If you add in the Reds' standard home, road, and alternate uniforms, plus the assorted holiday and special event unis that haven't yet been announced but are almost certain to be part of their 2019 rotation, they could easily end up wearing two dozen different uni designs this season, which would set the all-time MLB record by a comfortable margin. Pity their poor equipment staff! On a more somber note, the Reds will also memorialize Frank Robinson this season with a circular black "20" patch, which will be worn on the upper left chest. That's a definite downgrade. It leaves Comerica Park in Detroit as the only current keyholed ballpark. No new uniforms this season for the Giants, but their stadium has a new name. It is now known as Oracle Park. The good news is that the Padres are celebrating their 50th anniversary with a sharp-looking patch featuring the great Swingin' Friar, which will be worn on all of the team's jerseys and caps. The even better news is that the Padres are finally giving in to fan requests and bringing back the brown uniforms as their primary look next season. And not a moment too soon. Smart move by the Rockies, who are adding a set of plain white pants to be worn with their black and purple alternate home jerseys. 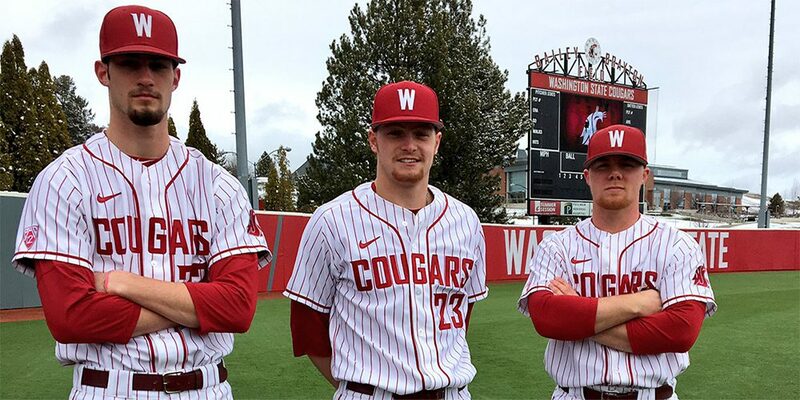 The white design looks cleaner than the pinstripes they've previously worn with those uniforms. Interesting situation unfolding in Toronto, where the Blue Jays will have two pitchers with single-digit numbers on the roster—longtime single-digit stalwart Marcus Stroman, who wears No. 6, and newly acquired Clayton Richard, who wore No. 3 with the Padres but is switching to No. 2 with the Jays. Given that the American League's reigning Cy Young winner is also single-digitized (that would be the Rays' Blake Snell, who wears No. 4), we may see more pitchers going this route. Several subtle changes for the Rays, beginning with the left sleeves of their navy and powder blue alternate jerseys, both of which will feature the team's swimming ray logo as a sleeve patch this season, just like the home whites and road grays. That spot on the two blue jerseys was occupied by the team's 20th-anniversary patch last year, and was blank prior to that. The swimming ray sleeve patch is a new addition to the Rays' blue jerseys this season. Also: You know how some teams sew the lettering for the players' names on the back of the uniform directly onto the jersey, while others sew the lettering onto a separate strip of fabric and then sew that onto the jersey? Those fabric strips are called nameplates. The Rays and Indians have been the last two teams to use them for the past few years, but now both of those teams are switching to direct-sewn lettering, which will make this MLB's first nameplate-free season since 1972. How's that for a trivia nugget! The Rays have used nameplates (left) since their inception but are switching to direct-sewn player name lettering for the first time in 2019. Meanwhile, remember how the Rays revived their inaugural 1998 uniform—the one with the endearingly hideous rainbow-gradated chest lettering—as a 20th-anniversary throwback for several games last season? They're apparently planning to wear them again in 2019, although they haven't yet announced any specific dates. Finally, a ballpark note: The Rays are closing the upper deck at the Trop, which will reduce its seating capacity to about 25,000—by far the smallest in the bigs. An unusual situation will unfold on June 29 and 30, when the Red Sox and Yankees face off for the first MLB games ever played in London. Although the games are technically Red Sox home dates—Boston will bat second and have two fewer games at Fenway—both teams will wear their white uniforms. The thinking behind this, obviously, is that MLB wants to showcase the iconic Yankee pinstripes, even if they're the road team. (Something similar happened in 2004, when the Yanks and Devil Rays opened the season with two games in Japan. 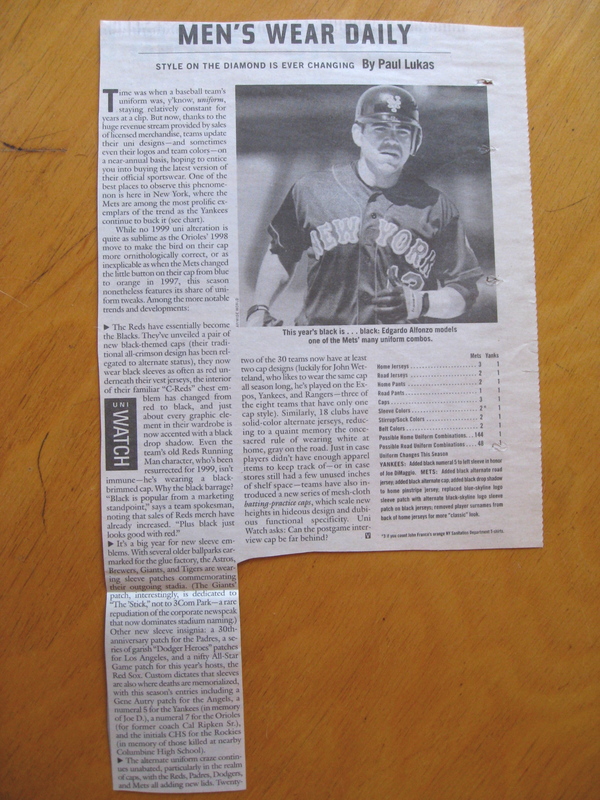 The Devil Rays were the designated home team for those games, but they nonetheless wore gray and the Yanks wore white.) The London games will presumably feature some sort of commemorative jersey patch to mark the overseas occasion, but that hasn't yet been confirmed. Speaking of things that haven't been confirmed: The Red Sox haven't yet announced that they'll be wearing gold-trimmed uniforms for their home opener on April 9, but that's become standard procedure for defending World Series champs, so it seems like a good bet. As noted in the Red Sox entry, the Yankees will wear white for their two games against the Sox in London despite technically being the road team. Fifth, the Indians are another team adding a memorial patch for Frank Robinson, who became MLB's first black manager when he skippered the Tribe in the mid-1970s. The patch will be worn only for the team's home opener on April 1. Seventh, the alternate red cap has been eliminated. Finally, the Indians, like the Rays, have stopped using nameplates — the separate strips of fabric with the players' names on the back of the jerseys. The name lettering will now be sewn directly onto the jersey. Good news out of Detroit, where the Tigers have reversed course on the resizing of their cap logo. Last year they enlarged the headwear mark, and it was just too much. So in a rare case of a team admitting that it was wrong, they're going back to the smaller logo this season. 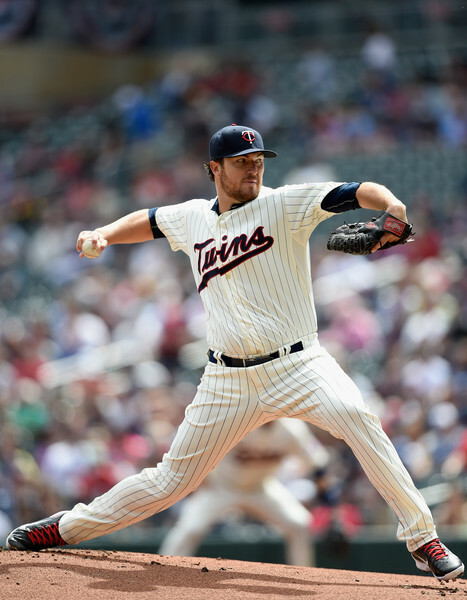 The Twins have scrapped their gorgeous pinstriped throwback alternate uni, which had been part of their wardrobe since 2010. They've replaced it with a new gold-trimmed navy alternate jersey, which has the same retro script as the throwback—a weird mix of an old-school insignia on a new-school jersey template. The jersey will be paired with a new gold-trimmed cap. Also: The batter's eye at Target Field is getting a new design, featuring a "living wall" of over 5,000 juniper plants. Full details here. No new uniforms this year for the White Sox, but there are two uni-numerical tidbits worth noting. First, outfielder Jon Jay, who signed with the Sox as a free agent over the winter, is wearing No. 45 as a shoutout to Michael Jordan, who wore that number during his brief stint with the Sox back in the 1990s. 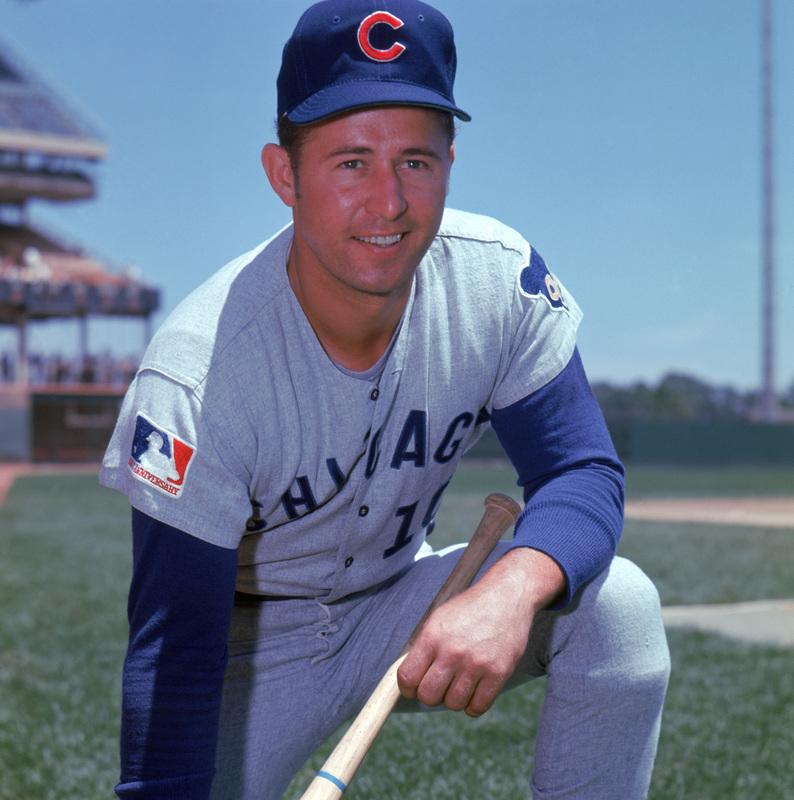 In addition, manager Rick Renteria, who previously wore No. 17, is giving up that number so newly acquired first baseman Yonder Alonso can wear it. Renteria will wear No. 36. 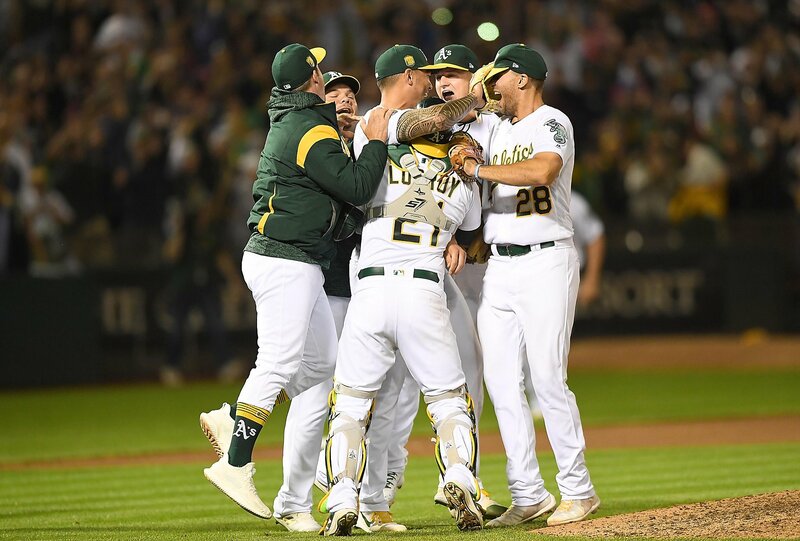 The A's already opened their season by playing two games against the Mariners in Japan, where they wore an MGM Resorts advertising patch on their jerseys. That may sound blasphemous—heck, it is blasphemous—but it's nothing new. MLB has a long history, stretching back nearly two decades, of teams wearing ads on their unis for season-opening games in Japan. Let's hope it never expands beyond that. Also: MLB is doing away with team-wide shoe colors this season and allowing players to wear pretty much any colors they want (for more info on this, scroll down to the "Additional Notes" section). That initially seemed like a potential blow to the A's, who've made white shoes a key part of their look for the past half-century. But A's equipment manager Steve Vucinich says the team will continue to go white-shod despite the new rules: "We will still wear white 98% of the time. No green shoes, but some have a heavy green presence. Only non-white shoes might be some gray on the road." Meanwhile, here's something to chew over: MLB's active roster limits will increase next year from 25 players to 26—a situation that could create some bad optics for the Angels, who in 1992 retired No. 26 for then-owner Gene Autry as the "26th man." And they can't exactly switch Autry's number to 27, because that number was worn by Hall of Famer Vlad Guerrero and is also currently worn by perennial MVP contender Mike Trout (a logjam that presents its own number-retirement problems, but that's another issue for another day). Moral of the story: Don't retire numbers for owners and executives who never wore a uniform. The Astros and Mariners will wear 1980s throwbacks for a game in Houston on Aug. 2. The Astros' design will be a button-front version of their "shoulder rainbow" pullover jersey, while Seattle will wear their vintage road grays. The Astros and Mariners will revive these uniform designs for their game in Houston on Aug. 2. Want to see what the new ballpark will look like next season? Look here. In addition, the Rangers will retire Adrian Beltre's No. 29 during a pregame ceremony on June 8. He'll be the fourth Ranger to have this honor, joining Ivan Rodriguez (7), Johnny Oates (26), and Nolan Ryan (34). • MLB is following the lead of the NFL and NBA by relaxing its footwear-color regulations. Instead of each team having a primary shoe color, which had been the case for several decades, players will now be able to wear any combination of black, white, gray, and their team colors. Whether you approve of this or dread how it might play out on the field, it's a sensible move, as policing shoe colors had become an increasingly losing battle in recent years. •​ Players who choose to wear their pants high-cuffed will have some new sock designs to choose from. • As usual, all uniformed personnel will wear No. 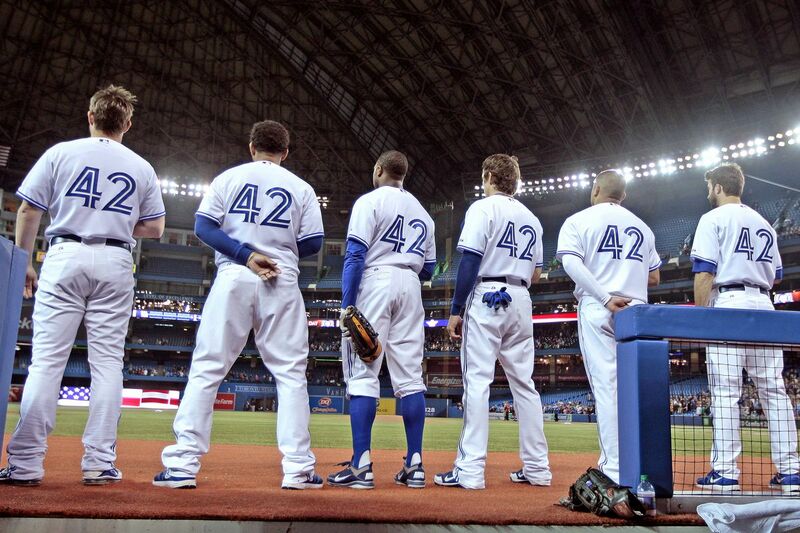 42 on April 15, in honor of Jackie Robinson. • Last year was a breakout season for the C-Flap, that plastic attachment that extends from the batting helmet's earflap and provides protection for the cheek and jaw. Expect even more players to add the protective flap this year, although they may be using Rawlings' new Mach product, not the original C-Flap. • Although nothing has yet been officially announced, it's safe to assume that teams will once again wear commemorative jerseys and/or caps for various holidays, including Mother's Day, Father's Day, Memorial Day, and Independence Day. 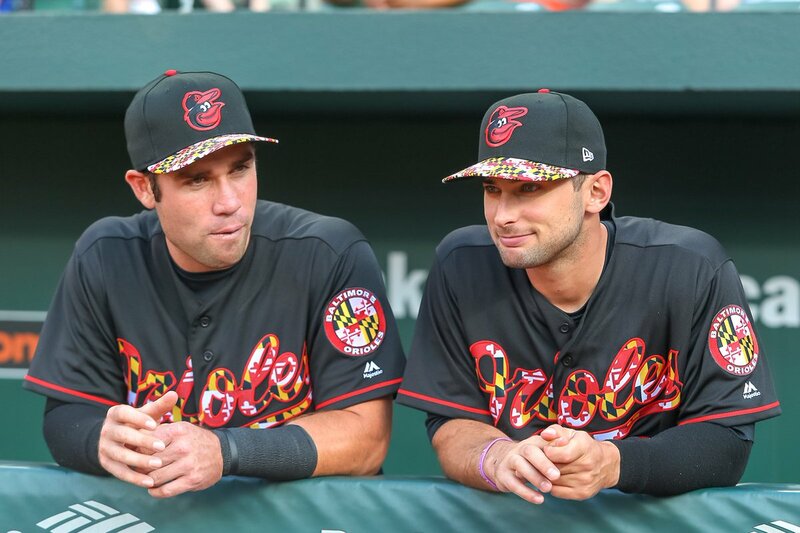 • Similarly, there's been no announcement so far about Players Weekend, the August promotion that features garishly colored jerseys with the players' nicknames on the back, but the program appears to have been popular in its first two seasons, so it will likely be back for another round. •​ The BP uniforms for the All-Star Game, which are also worn for the Home Run Derby, haven't yet been officially released. But as is often the case, they've already leaked via a video game. The BP jersey design will apparently feature a guitar-based insignia, similar to the sleeve patch that this year's All-Star hosts, the Indians, are wearing this season. • If you see a pitcher or catcher looking at his watch during the game, he's probably not worried about missing his dinner reservation. More likely he's part of MLB's new experiment to combat sign-stealing by having pitchers and catchers wear smart watches. The program is still in its embryonic stages, so we'll have to see how it plays out, but here are two hunches: First, this has less to do with sign-stealing than with a sponsorship deal between MLB and a tech company. And second, this plan will work out as swimmingly as that 2013 plan to replace dugout and bullpen phones with cell phones. • Finally, if you want to look ahead to next year, Nike will be taking over the MLB uniform contract from Majestic, and the Nike logo will be appearing on the chest of each jersey (similar to the look in college baseball), not on the sleeves like the Majestic logo. So 2019 will be the end of an era, in more ways than one. Phew! That's a lot of info to process. Did we miss anything? If so, you know what to do. Now let's play ball. Paul Lukas, a lifelong Mets fan, still can't believe they're not wearing an anniversary patch for the 1969 team. If you like this column, you'll probably like his Uni Watch Blog, plus you can follow him on Twitter and Facebook and sign up for his mailing list so you'll always know when a new column has been posted. 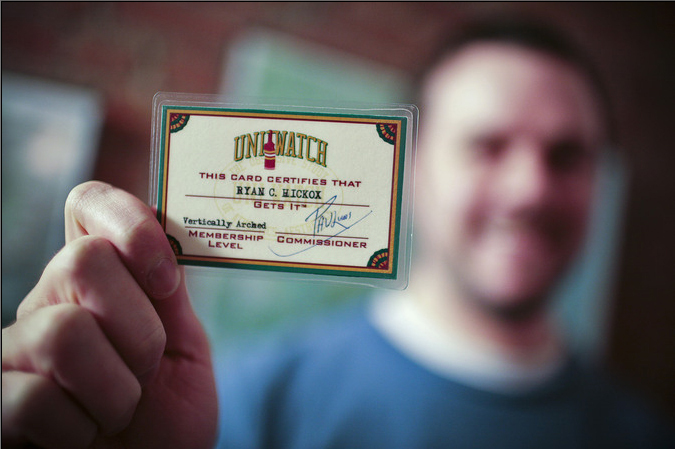 Want to learn about his Uni Watch Membership Program, check out his Uni Watch merchandise, or just ask him a question? Contact him here.